Here in Canada, we’re spoiled with access to the good, cheap Norinco M305 and M14S (check out my M305 / M14S Review here), but we are a bit limited on stock selection. Local dealers have to be import stocks from the US, and there are certain regulations that make that difficult. Some of the aluminum based EBR type stocks can be especially tricky to obtain, given that the US army is snagging some, while Canadians play second fiddle to US customers. Many American companies just don’t want to bother with the required export permits so I wanted to have a post showing which stocks were available now and where they were available from. Boyd offers a great wood M1A stock, and you can order the unfinished one direct to Canada for just under $100. This will make for a classier looking wood stock than the standard “chu wood” Norinco stock, or the black polymer stock if you got one of those. The Promag Archangel M1A stock is offered by MysticPrecision and has copied some of the design (but not the aluminum chassis) of the JAE. It offers a forend accessory rail, thumbwheel cheek rest height and length of pull adjustments and is just above $300. I’ve got a review of the Promag Archangel M1A stock here. The McMillan MFS-14 is a folding stock synthetic that goes for around $570. Expect to pay upwards of $600 landed in Canada. 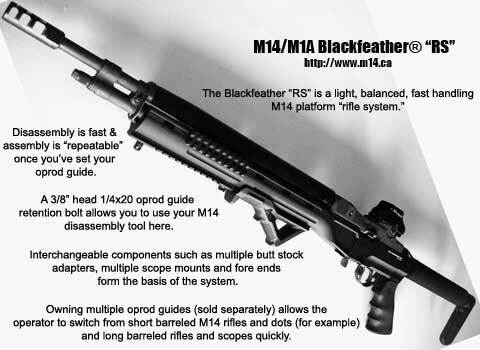 McMillan also has a few more traditional stocks for the M14 available on their website. The tension bedded aluminium stocks have been used with US army for some time now as a way to upgrade the basic M14 into a more usable, long range marksman-type rifle. The Sage EBR is the best known, and can be acquired in Canada from Del Selin or Bashaw Sports. You will probably have a few months to wait. The Troy M14 stock is available through CQB Services and the JAE-100 is sold through Wolverine Supplies. These stocks are all $800 and up. Used stocks do come up on CanadianGunNutz.com every once in a while. Vltor M1A stock hasn’t been imported by anyone in any appreciable quantities as far as I can tell. The AKM stock was made for Marstar, but is not being manufactured anymore.